We the undersigned are deeply concerned at the deterioration of relations between the Turkish government and Turkey’s Kurdish communities, and call for the ending of all repressive measures against the Kurdish population, and the lifting of all sieges imposed on Kurdish areas. 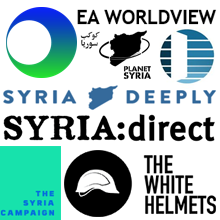 We are motivated to make this statement by the same principles that drive our unconditional support for the democratic struggle against the Assad regime and its allies, which we identify as first and foremost responsible for the grave humanitarian crisis that the Syrian people have been plunged into and which has resulted in close to half a million deaths. 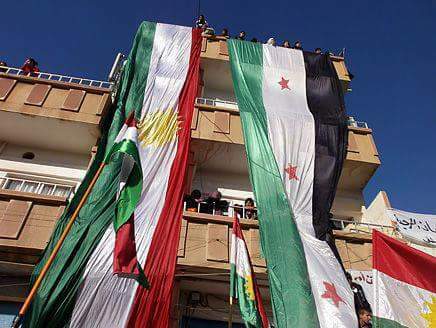 As we support the struggle for a free, united, democratic Syria, so we support the right of all people to a life of dignity, free from state repression, and their right to democratically govern their societies and communities. This includes the right to celebrate their diverse cultures through the rights to freedom of thought, conscience and religion, freedom of expression, freedom of assembly and freedom of association. We uphold these principles and champion their universal extension without condition. Even as we recognise that Turkey has been a far truer friend to Syrians than the Western powers have been, opening its borders to two and a half million refugees fleeing Assad’s repression, we also recognise that any restrictions on democratic rights in Turkey will negatively impact on those Syrian refugees who have sought refuge there. Moreover, we fear that the EU, in its efforts to persuade Turkey to contain the refugees and prevent them from crossing to Europe, will overlook the human rights abuses committed by the Turkish state. 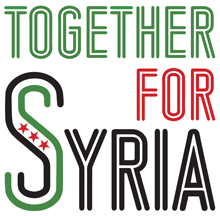 On principle, we call for the lifting of all sieges in all ongoing conflicts. Using food as a weapon is a war crime. In the spirit of the non-sectarian, democratic struggles that sparked the Arab Spring revolutions and whose supporters continue to resist repression in Syria and Egypt, we call on President Erdogan to end the indefinite state of curfew in Sirnak, as well as and to reopen the political process for reaching a settlement with the Kurdish citizens of Turkey. Moreover, we firmly declare our solidarity with the democratic civil society groups seeking a political solution ensuring the civil rights of the Kurdish people. We are alarmed that the Turkish State is engaging in repression of these groups, such as the Kurdish-Turkish HDP parliamentary party, the students delivering much needed humanitarian aid to the Kurdish regions of northern Syria, and the Turkish academics who have spoken out against the repression. We fear any further escalation of fighting or repression will close down the democratic space needed for dialogue, and for non-violent political actors to organise, further polarising the situation and rendering it intractable. This statement was written by a number of our activists in collaboration with fellow activists in other organisations. Our thanks to all who have given their consideration and advice in further developing the statement.